Schedule Your Thigh Lift Consultation Today! Genetics, aging and weight gain or loss are some of the factors behind these concerns. The excess fat and skin that accumulate in the thigh area can bring discomfort. It may cause chaffing or skin infections. It can also make someone self-conscious about their appearance. A thigh lift is a surgical cosmetic procedure that can to a degree correct this problem because it can reduce the excess skin and fat. It improves the proportion of the contours on the lower part of the body. It can also smooth out the skin in the area for a better aesthetic outcome. 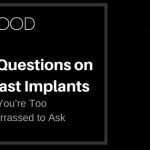 1. Who are the right candidates for a Thigh Lift? Healthy individuals who do not have medical conditions that may increase the risk of surgery or impair healing. Those with excess oft tissue along the inner (medial) thigh region and/or the outer (lateral) thigh. Individuals who have realistic goals of what a thigh lift surgery can achieve. 2. Will a Thigh Lift help get rid of stretchmarks? A thigh lift is a surgery to remove excess skin, and it is not a surgery to remove stretchmarks. 9. Can a Thigh Lift be combined with Liposuction? Liposuction removes fat cells, but it does not affect the skin. So, if your problem is due to loose skin, performing any form of liposuction will only exacerbate your problem. The only time that liposuction should be considered is when there is a significant amount of fat and the skin is tight. If you are interested about this procedure, you can book a consultation here.